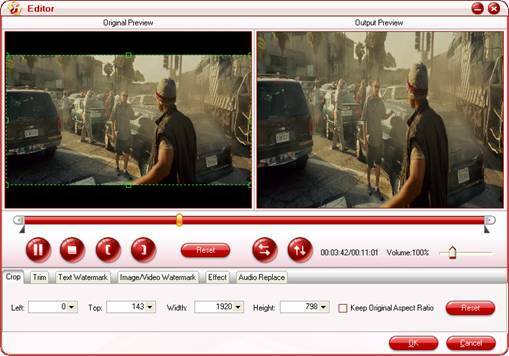 F4V is encoded with H.264 video codec which is the reason for better video quality. Not all the FLV converters can process it successfully. Therefore, choosing a suitable FLV Converter program is very important. Otherwise, you will complain to buy such kind of useless tool because this type of FLV can not be recognized by some FLV converters. As we know, AVI video format is a typical and traditional container format which can be compatible with multiple video and audio streaming. It is famous as its outstanding video quality and its wide compatibilities. Generally speaking, people will convert M4V, MKV, MOV, MTS, FLV, 3GP to AVI then input them into the editing software like Adobe Premiere, Windows Movie Maker, Sony Vegas and more. Moreover, AVI can be accepted on most media players. How to convert F4V to AVI? The Pavtube FLV Converter will be your best choice. It can be compatible with all types of FLV including F4V. You can get the desired output video formats like AVI, MPEG, MP4, MP3, WMV, MOV, 3GP, VOB and FLV with this powerful FLV conversion tool. In addition, it provides simple editing functions like trim and crop the video, add the image watermark and text watermark and adjust the video effects like brightness, contrast or volume. 1. Run the software after installing it. 2. Click "Add" button to input F4V files. You could more than one file at the same time. 3. Set the output settings. In "Output" box, configure the output path to save the files on your PC. Meanwhile select AVI as the output video format in "Format" box. Optional: Edit the output files. You can trim and crop the video, add image watermark and text watermark as well as adjust the video effects like brightness, contrast and so on. 4. Convert F4V to AVI. Click "Convert" tab and hit "Start" button. The F4V to AVI conversion will be processed. After finishing the encoding AVI, you can find the output AVI in specified folder. Now AVI file is ready. You can freely put the AVI on your media players for playback or input them into your favorite editing software to make your own videos. If you interested, you can use the adding-watermark function to protect your videos with the F4V to AVI Converter tool. To be honest, it is also a good F4V editor tool due to its wonderful editing options. That's all. Hope it helps!